In 2012, Chandra spotted a hot hydrogen halo around the Milky Way. 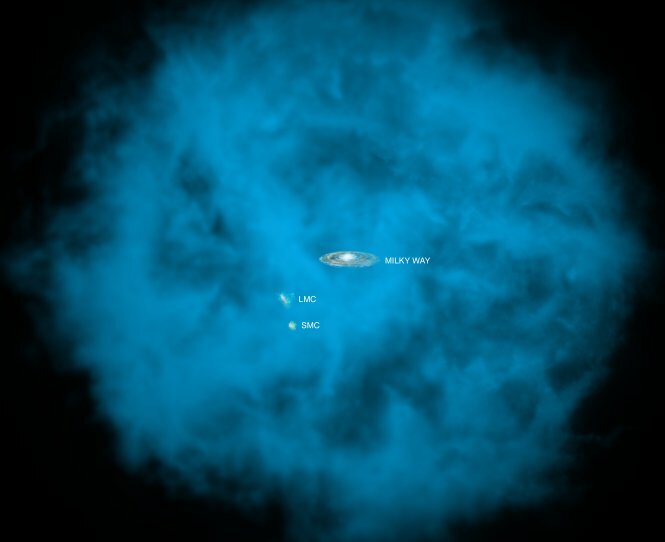 Now, astronomers are peering into the cooler hydrogen component of our galactic halo. NASA/CXC/M.Weiss; NASA/CXC/Ohio State/A.Gupta et al. Now you don’t have to — Gaia has the answer. Have you ever wondered what it would be like to stare up at the sky millions of years from today? Would things look exactly the same, or would the sky be totally unrecognizable? Wonder no longer — the European Space Agency (ESA) has just released a video answering that exact question. Since July 2014, ESA’s Gaia mission has been charting the positions of stars in the Milky Way with higher accuracy than ever before. Its goal is to create a three-dimensional map of our galaxy, which is uniquely challenging because we’re trying to make a map from inside the galaxy, rather than being able to take a step back and view it from outside. With such precise stellar positions, however, comes something else: stellar motions. The stars seem perpetually fixed in the sky — sure, they rise and set, and change throughout the year as we go around the Sun, but they always form the same patterns. A significant percentage of the constellations most of us know are those derived, after all, by the Greeks just a little under 2,000 years ago. So, of course, it’s natural to assume that the stars just don’t move, because they’ve looked pretty much the same for thousands of years. But thousands of years is but an eyeblink in the lifetime of a galaxy, and the notion that the stars don’t change positions is false. The stars do move, largely in bulk as they rotate around the center of the Milky Way, but sometimes they zip off in random directions dictated by the conditions of their formation or past interactions. This latter effect is exacerbated by perspective — the closer a star is to us, the more it will appear to move. This perspective effect is also essentially how Gaia measures stellar positions so accurately, using a technique called parallax that causes nearby stars to shift against the background as Earth orbits the Sun. But largely, from our perspective, the stars are just so far away that even though they’re moving at hundreds of kilometers per second, they seem pretty fixed to the casual observer. 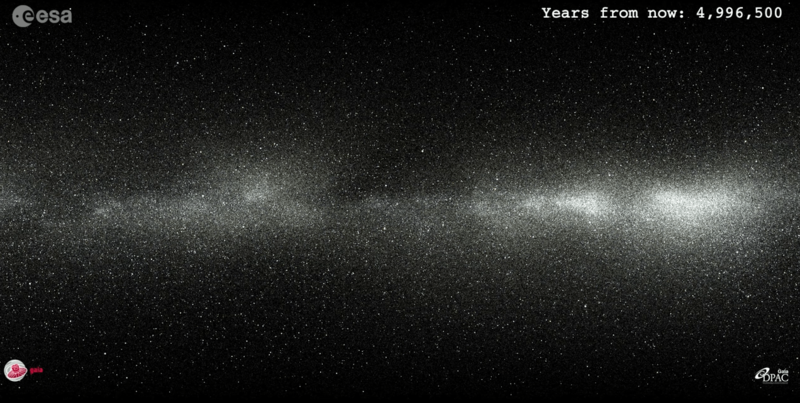 Now, though, ESA has released a video containing 2,057,050 stars that have been measured well enough to predict where they are and where they’re going in the future. The overall motion of a star from our point of view against the background of extremely far away stars is called proper motion, and that’s the basis for the stellar motions in this video. Using the projected proper motions of the stars in the Gaia catalog, the result is a fast-forwarded trip through time that ends with the sky as it would appear from Earth in 5 million years. Each frame in the video represents the passage of 750 years. There are a few key takeaway points from this video. At first, very little appears to happen, but that’s an illusion. Consider the constellations. They’re two-dimensional projections on a three-dimensional sky, which means that although the stars form a picture, virtually none of the stars in a given constellation are at the same distance from us. In the video, you can spot Orion on the far right, just below the bright plane of the galaxy. The Big Dipper (technically an asterism, not a constellation) appears in the upper left, high above the galaxy’s plane. When you hit play, the constellations are quickly distorted beyond all recognition within about 100,000 years — literally just a few frames into the video. That’s because the stars nearer to us appear to move significantly, while those farther away don’t appear to move as much. None of the stars move in tandem, so the patterns are torn apart. So while our current constellations may last for thousands more years, between ten and a hundred thousand years from now, astronomers will need to come up with some new patterns. Next, keep in mind that this video has some limitations. The first frame seems to show intricate structure and even stripes in the plane of the Milky Way, but those are actually just artificial data artifacts in areas where Gaia hasn’t measured the positions of stars (or hasn’t measured them accurately enough to predict a believable proper motion). Those artifacts are washed out pretty quickly, though, as closer stars move into the areas where less data exists. Some dark areas, though, are clouds of interstellar dust, which block the light from stars sitting behind them. Those stars aren’t visible today, so the video doesn’t include the “new” stars we might see popping out from behind the clouds as the millennia scroll by. The clouds themselves can also move, which similarly isn’t taken into account here. The motion of these clouds over time would basically change the detailed structure of the Milky Way we see when we look up in the sky, like subtly shifting the stripes on a tiger’s back. Finally, the stars themselves aren’t eternal. Because it takes time for light to travel across space, you may wonder if the stars you’re seeing in the sky are even really there. For the most part, the answer is yes, simply because stars live so long compared to humans (or human civilization), that the chances of one disappearing in a human lifetime are pretty small. But, if you wait a few hundred thousand years, that won’t be true — that’s when the bright red star in Orion’s shoulder, Betelgeuse, is expected to go supernova. We’ll notice about 600 years later (give or take a few hundred years, because the distance to Betelgeuse is fairly hard to pin down), when the star grows very bright, then dims away past naked-eye visibility. Orion’s really going to start falling apart then, because the bright star that marks one of his knees, Rigel, will go out similarly relatively soon after. So keep in mind that although this video carries the stars through the next five million years, not all of the stars you see will make it that long. Some will disappear, and new ones might become visible. Regardless of the changes that occur, the sky is changing — but with the data we currently possess, we can now take a peek at what the far future holds in store. Help promote STEM in your local schools. So how does Molnar know what will happen? After all, as he puts it, it’s “a very specific prediction that can be tested, and a big explosion.” He and his team have an example to look at: V1309 Scorpii. (https://astrobites.org/2012/08/01/two-stars-merged-and-we-got-to-watch/) First observed in 2008, astronomers were able to watch the light curve as the event unfolded. First, there were a few “booms” in the sky. Then, a spectacular light show unfolded. Using precovery data, astronomers were able to trace back the evolution from 2001 on, giving a big picture of the decade of progression of the event. This article originally appeared in the February 2011 issue of Astronomy magazine. For more than a century, astronomers have known that natural satellites in the solar system don’t only orbit in close, nearly circular tracks in the same plane as their host worlds. Sometimes objects have distant and highly elliptical orbits, and they are called irregular satellites. Often their trajectories are tilted to the planet’s plane. Their orbits also tend to precess, meaning they trace out more of a loop-de-loop pattern instead of a simple ellipse. And most irregular satellites orbit in the direction opposite their planets’ rotations, called retrograde motion. Astronomers believe ordinary satellites formed with their planets. However, the characteristics of irregular satellites imply they did not form in this way, but instead were captured. But when, and how? In the late 20th and early 21st centuries, astronomers discovered a surprising number of irregular satellites. They had known about Saturn’s oddball Phoebe and Jupiter’s Himalia since the early 1900s. But then the tally jumped from 10 to 107 in less than 10 years thanks to technological advancements. The count has slowed recently while scientists put more of their efforts into characterizing the bodies they know of and learning where they came from. The irregular-satellite haul geared up as astronomers attached wide-field CCD cameras to large telescopes. In 1997, Brett Gladman, now at the University of British Columbia, and colleagues used the Hale Telescope at Palomar Observatory to discover two satellites orbiting Uranus. While this team focused on Uranus, Neptune, and Saturn, David Jewitt, now at the University of California, Los Angeles, and Scott Sheppard, now at the Carnegie Institution of Washington, discovered the majority of the objects around Jupiter. They used both the Canada-France-Hawaii and Subaru telescopes atop Mauna Kea for their searches. The teams looking for irregular satellites surveyed regions called “Hill spheres” around each of the solar system’s giant planets — Jupiter, Saturn, Uranus, and Neptune. Within such an region, the planet’s gravitational pull is greater than the Sun’s. The astronomers searched each planet’s Hill sphere because if an object passes through this region at a slow pace relative to the planet’s orbital speed, the gravitational pull could capture the incoming object as a satellite. ust a fast-moving blip, Saturn’s irregular satellite S/2004 S11 shows up on these discovery images from the Hawaii Irregular Satellites Survey. 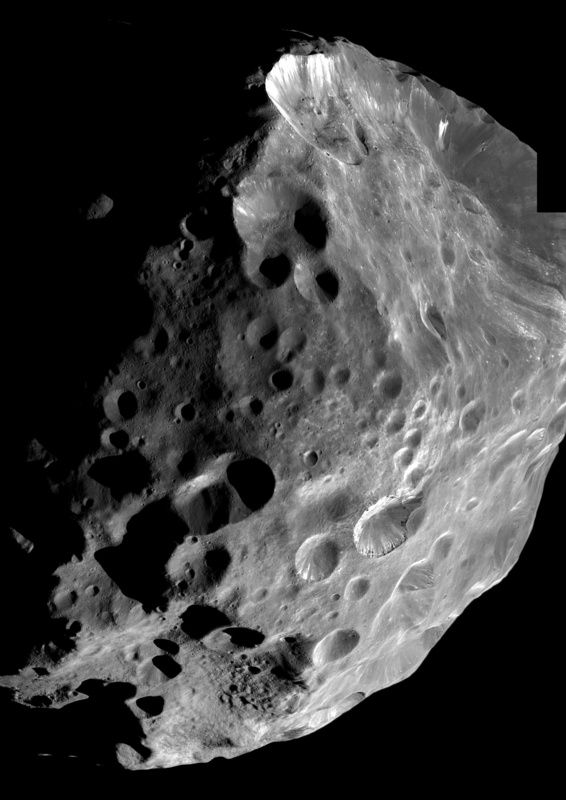 This object is about 3.8 miles (6 kilometers) wide. But this doesn’t mean that any region within the Hill sphere provides stable orbits. The sphere’s outer half is mostly unstable, as solar tides can tear away any satellites not firmly gravitationally attached to the planet. Thus, astronomers have found most irregular satellites within the inner half of the giant planets’ Hill spheres. Astronomers also haven’t found irregular satellites orbiting the poles of the planets. This region is gravitationally unstable. The “Kozai resonance” is to blame for the lack of orbiting objects here. Gravity perturbs the orbit, which becomes more elliptical to compensate. Eventually, the orbit will be so stretched out that the planet can lose control of the satellite as it reaches its path’s greatest distance, or the object can veer into the planet at its orbit’s closest approach. The irregular satellites have outlasted many gravitational encounters during their lifetimes, but how did they get to their locations in the first place? And what do astronomers know about these objects? First astronomers have to learn as much as possible about the satellites before determining where they came from. In the past few years, scientists have stopped looking for irregular satellites and instead are analyzing those currently known. “Even if we push it to 200, it probably won’t change the picture that much,” says Jewitt. An object’s spectrum can tell a researcher about its composition and motion. Unfortunately, most irregular satellites are too faint for astronomers to gather such spectra. (They have detailed information for only three — Phoebe, Himalia, and Neptune’s Triton.) So instead, observational efforts measure colors and “show how color is a proxy for composition,” says Jewitt. His focus has shifted to this research using sensitive optical telescopes. Astronomers have collected colors for about two dozen irregular satellites that orbit Jupiter and Saturn — they’re closer and thus brighter than those around Uranus and Neptune. When astronomers analyze the colors of the irregular satellites, they find that most of the objects look similar, which implies a common source. But even color observations are reaching a technological limit. “A 30-meter telescope will help, or one needs to send more spacecraft to the outer solar system,” says David Nesvorny of the Southwest Research Institute in Boulder, Colorado. “Close-up, good physical observations are not likely to happen anytime soon,” says Sheppard. “Probably not within our lifetimes.” This means astronomers are doing what they can, now, to answer the questions about irregular satellites. So where did irregular satellites come from? In the 1970s, three theories emerged: two related to the protoplanetary gas and dust disk in the early solar system, and the other requiring chance flybys. In our system’s youth, many small icy bodies (called planetesimals) orbited the Sun. The “gas drag” model says that occasionally one of these objects dove into the disk and slowed due to friction. At that point, the planet’s gravity could capture this object. The “pull down” method proposes that as the gas giant rapidly accreted a large amount of surrounding gas, its Hill sphere increased quickly. This trapped any nearby small bodies. However, both of these capture methods pertain to the gas giants’ formation and not to how the ice giants (Uranus and Neptune) formed. So neither provides a satisfying answer to the question of how irregular satellites ended up at the farthest planets. The third theory — “three-body interactions” — could partly explain the capture of these bodies. This posits that a planet and a binary planetesimal, or two planets and one small icy body, could result in an object becoming gravitationally trapped. The model implies that for each of the giant planets, the chances of capturing bodies relates to its mass — and thus the size of its Hill sphere — after the planets reach their “established” size. But more importantly, the three-body interactions don’t relate to only the planets’ formation; the model applies to later periods, too. Even if the giant planets trapped a plethora of irregular satellites as they formed, the solar system may have undergone an upheaveal period. Any loosely bound objects would have been torn away from their parent worlds. In 2005, astronomers published a hypothesis regarding the giant planets’ evolution. The Nice model (pronounced “niece” and named after the city in France) suggests that the outer planets likely formed nearer to each other and closer to the Sun than they are now. The simulations imply that after the protoplanetary disk evaporated, the giant planets originally existed between 5 and 17 astronomical units (AU, the Earth-Sun distance) from the Sun. Just outside the farthest ice giant sat a disk of planetesimals that extended to about 35 AU. According to the model, the orbits slowly “wiggled” over time. Then, about 600 million years into the model, Jupiter and Saturn passed through orbits that coincided with a 2:1 resonance (meaning, Jupiter made two revolutions for every one that Saturn made). The combined gravitational effect forced Jupiter, Saturn, Uranus, and Neptune to scatter from each other. As the planets interacted, they tweaked the orbits of any small objects in their paths. Uranus and Neptune both moved into the planetesimal disk. Thus, small icy bodies scattered everywhere: Some escaped the solar system, some moved toward the inner solar system and collided with planets, others remained in this disk, and the giant planets grabbed some as “new” irregular satellites. So what’s the proof of this early solar system upheaval? “This model makes predictions about the solar system that match observations,” explains Nesvorny. Its simulated orbits coincide with those of Jupiter, Saturn, Uranus, and Neptune. 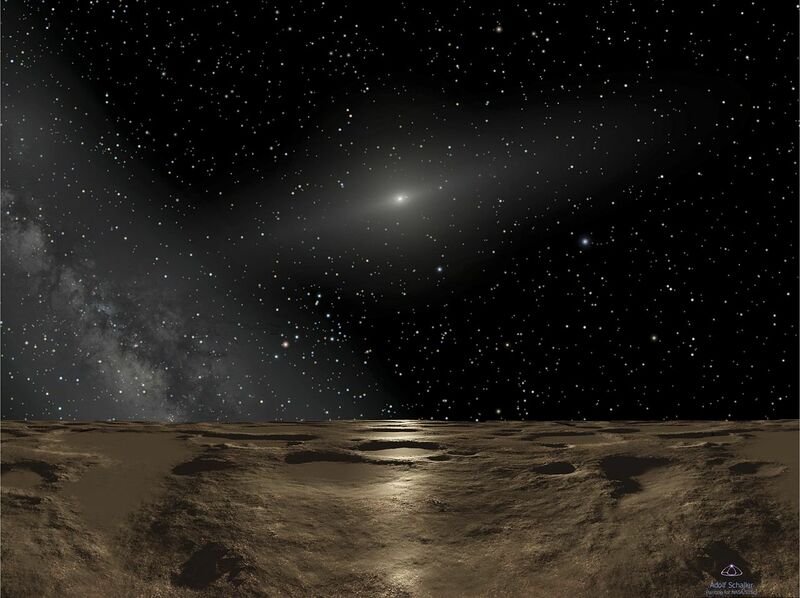 The icy bodies that remained in the disk match up with some of the objects in the Kuiper Belt — the disk of icy bodies beyond Neptune. Those that moved to the inner solar system could explain the “late heavy bombardment,” which corresponds to craters seen on our Moon’s surface. During the upheaval period, our solar system was a chaotic place with frequent collisions and near misses. If a binary asteroid or binary Kuiper Belt object (KBO) came close to a massive planet, one of those objects might have been gravitationally trapped while its companion was flung away. Nesvorny’s team’s first paper showed how Neptune, Uranus, and Saturn got their irregular satellites. However, it couldn’t explain those at Jupiter. So it went back to their simulation and made a few changes. “They have succeeded in tweaking their model such that it does give irregular satellites at Jupiter as well,” explains Jewitt. According to Nesvorny, the Nice model also accounts for the structures scientists see in the Kuiper Belt and its different groups of objects. The “classical” objects are named as such because their orbits are what astronomers originally expected KBOs would follow. Scientists divide them into dynamically “cold” classical and “hot” classical because the objects have slightly different characteristics. The orbits of the cold ones aren’t tilted as much as those of the hot classical KBOs. The cold bodies also appear redder and are brighter than the hot objects. The Kuiper Belt also contains two other groups of objects: those in resonances with Neptune (Pluto is one example); and the “scattered disk,” which occasionally pass close enough to Neptune to gravitationally interact. When looking at the Kuiper Belt, scientists find that while some KBOs look redder than the irregular satellites, other object groupings have colors similar to the irregular satellites. Is this a coincidence? Or were the objects from the same place? Perhaps the planetesimals scattered during the reshuffling event moved into the Kuiper Belt as the hot classical, resonant, and scattered disk KBOs. These were the objects that, according to the Nice model, started out between about 17 and 35 AU. Nesvorny’s team argues that the cold classical KBOs formed right where they currently are, at 45 AU. The fact that the cold and hot ones came from different populations explains why they have different characteristics. But that’s the whole point of testing new models — to try to disprove or prove competing ideas in order to figure out the best-fitting one. The study of irregular satellites has exploded in the past decade. “The fact that people are thinking about this is what’s exciting,” says Jewitt. One concept scientists do agree on is that the planets must have captured their irregular satellites, and it had to happen in the solar system’s younger days. That’s when there was a lot more “stuff” flying around. And if more objects were getting in each other’s way, collisions must have been more common. Astronomers see evidence of such collisions on the most studied irregular satellite. Observations of Jupiter’s Hill sphere show a dust density about 10 times higher than expected, which suggests a large number of collisions also probably occurred within that region. The quest to understand irregular satellites around the solar system’s giant planets begins with the most important questions. “Where from, and when, and how are still not really known,” says Jewitt. Because technology has limited the observers, this work is currently performed with computer simulations. Different groups tackle these questions from different angles. But until astronomers have their 80-foot-wide optical telescopes, such modeling is the best way they’ll get their answers. Several newly discovered objects on the outskirts of the solar system suggest that something strange is afoot. While some scientists point to the odd behavior of the newfound residents as further proof for the existence of the hypothetical Planet Nine (a yet-unseen superEarth proposed to inhabit the outskirts) not everyone is convinced. The new inhabitants include a small icy world with one of the longest known orbits and several smaller objects clustered together extremely far from the sun. The newest of these objects is L91, an icy world that can travel as far from the sun as 1430 astronomical units (AU), or 1,430 times the Earth-sun distance, one of the longest known orbital periods. L91 never draws closer to the sun than 50 AUs, farther away than even Pluto. And L91’s distant path is shifting. “It’s orbit is changing in quite a remarkable way,” astrophysicist Michele Bannister told scientists last week at the American Astronomical Society’s Division for Planetary Sciences in Pasadena, California. Bannister, an astrophysicist at Queen’s University Belfast, identified minute changes in the object’s orbit that could come from the passing gravity of other stars or interactions with the hypothetical Planet Nine. Simulations by the team suggest that the tiny tugs are more likely to come from beyond the solar system, whether distant stars or galactic winds. Konstantin Batygin, an astronomer at the California Institute of Technology, said, “I think it’s a story that’s not implausible, but I also think it’s not needed.” Batygin, who announced the existence of Planet Nine last January, thinks the unusual orbits of L91 and other newfound objects are more likely explained by the hypothetical planet. Bannister and her team spotted L91 using the Outer Solar System Origins Survey, a 4-year survey hunting distant moving objects using the Canada-France-Hawaii Telescope. L91’s mass and size remains unknown. “It’s right at the limit of what we could actually detect in the sky,” Bannister said. L91 isn’t the only new object in the sky. Another team of astronomers reported a handful of smaller icy bodies traveling beyond Neptune. Similarities in the orbits of objects like these led to the proposal of Planet Nine. 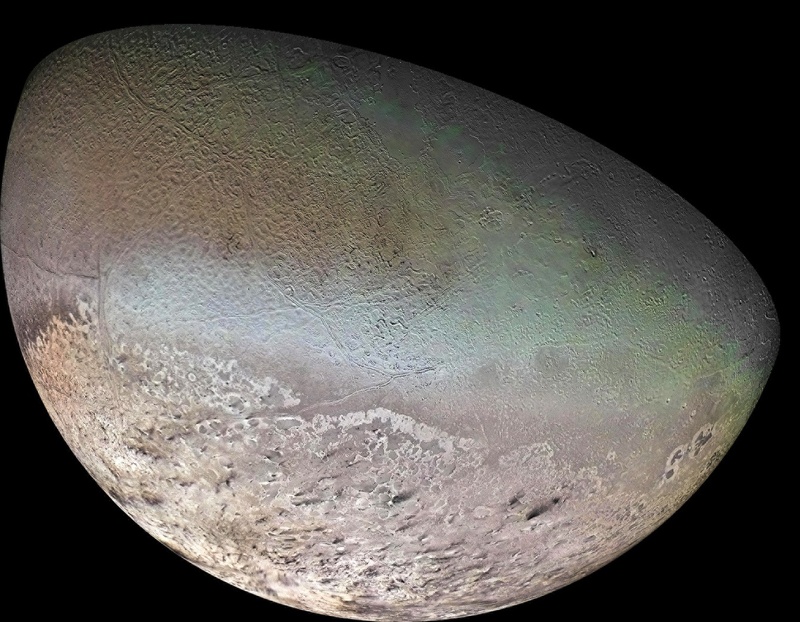 “A lot is going on in the outer solar system,” said Scott Sheppard of the Carnegie Institution for Science in Washington, D.C. Sheppard is part of a team of astronomers conducting the largest, deepest survey of trans-Neptunian objects, whose orbits take them farther out than Neptune. 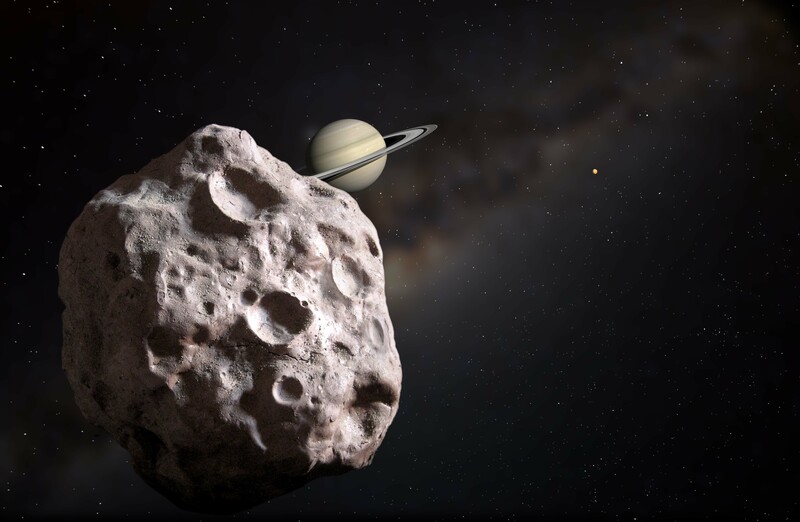 The team found several new objects clustered in the outer edges of the solar system. One of these objects, 2014 FE72, is the first known to come from the Oort Cloud, the icy shell around the solar system where comets are born. But not all scientists are convinced that the increasing number of odd orbits points to Planet Nine. “We did search some parts of the sky more thoroughly than others,” says astronomer Katherine Volk, a planetary scientist at the University of Arizona. Volk analyzed the growing studies offered up as evidence for the hypothetical planet, and remains skeptical that it is the only conclusion. “You find things where you’re looking,” she says. She pointed out that the similarities in orbits, or clustering, of the objects could be related to their similar positions in the sky. “If the clustering persists at the end of [Sheppard’s] survey, it will be more convincing,” she said. At the same conference, Batygin reported that Planet 9 could be responsible for the backwards, or retrograde, orbit of some of the solar system’s centaurs. Orbiting among the outer planets, centaurs cross the orbits of their larger neighbors. And Elizabeth Bailey, a graduate student at Caltech working with Batygin, reported that Planet 9 could have tilted the orbit of the solar system’s planets with respect to the sun, solving another long-standing astronomical mystery. Again, Volk isn’t convinced that the research proves the existence of Planet Nine, though she said Batygin and Bailey’s had drawn reasonable conclusions. The largest “depleted galaxy” ever observed apparently did not form according to the most popular model. The galaxy, designated 2MASX J17222717+3207571, is remarkable for its size (a total stellar mass of 4.44 trillion solar masses) and for the stars missing from its core (175 billion solar masses). By comparison, the Milky Way tips the cosmic scale at a meager 60 billion solar masses. Astronomers call a galactic core “depleted” when the mass density of stars in its core does not follow the progression set by the outer part of the galaxy. The density of stars in most galaxies increases smoothly from the outer edge to the center. Astronomers can plot the actual progression in a galaxy and compare it with the expected, smooth progression. In some galaxies, the actual number of stars in the central bulge falls short of what is expected. After a close inspection of what was thought to be the largest depleted galaxy core last year and finding that the initial analysis was mistaken, Graham and Paolo Bonfini, from Centro de Radioastronomía y Astrofísica in Mexico, decided to take a closer look at the next two largest depleted galaxies. Graham and Bonfini, who was the lead author, published their results in the Sept. 23, 2016, Astrophysical Journal (Vol. 829, No. 81, The Quest for the Largest Depleted Galaxy Core: Supermassive Black Hole Binaries And Stalled Infalling Satellites. The smaller of the two galaxies, designated 2MASX J09194427+5622012, appears to have formed by the merger of two similar-size smaller galaxies. Each of the two merging galaxies had a supermassive black hole at its center. As the two cores merged into each other, some of the stars were flung out, the way an Earth spacecraft gains speed as it slingshots around a gas giant planet such as Jupiter. Galaxy ’012 apparently formed through the “binary black hole scouring scenario,” a widely accepted model for how galaxies merge and form depleted cores. The revelation came from the bigger depleted galaxy, which shows no evidence of containing a supermassive black hole. Galaxy ’571 has a core that is evenly distributed with stars — except for a handful of dense knots of stars near the core’s edge. Hubble Space Telescope image of the giant galaxy 2MASX J17222717+3207571, showing several semidigested galaxies around its heavily depleted core. The pair of supermassive black holes dominate the action in what astronomers call the “scouring scenario,” slinging normal stars aside as they plunge toward each other. Imagine a rock falling into a swimming pool of water. The pudding metaphor has limitations, of course. 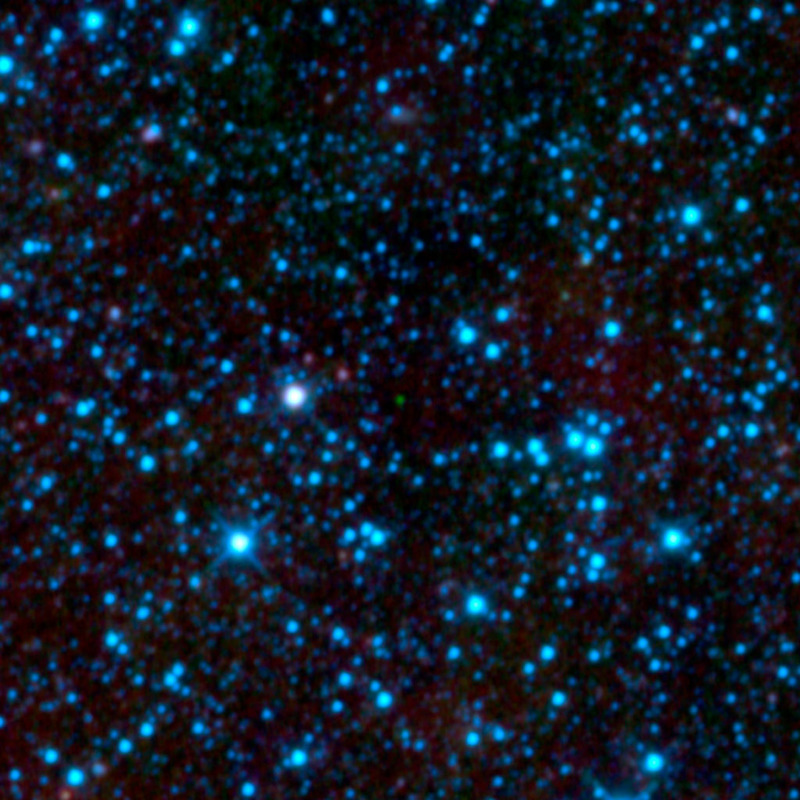 For example, around the edges of the tightly bound core, individual stars exchange kinetic energy with the surrounding stars, some of which are ejected. The core of galaxy ’571 may have started life with a typical undepleted density peak in the middle, but when it started swallowing its small satellite galaxies, its core density started to even out. Graham and Bonfini ran computer simulations and found that the structure of the core of galaxy ’571 is consistent with a large galaxy with a roughly constant-density core and no supermassive black hole swallowing a much smaller galaxy with a tightly bound core but also without a supermassive black hole. Located at the center of a cluster containing hundreds of galaxies, galaxy ’571 continues to grow by swallowing the smaller galaxies around it, says Graham. The remnants of the dense cores of five of those swallowed galaxies can be seen in images of galaxy ’571. They hover near the edge of galaxy ’571’s core as monuments to their past life. 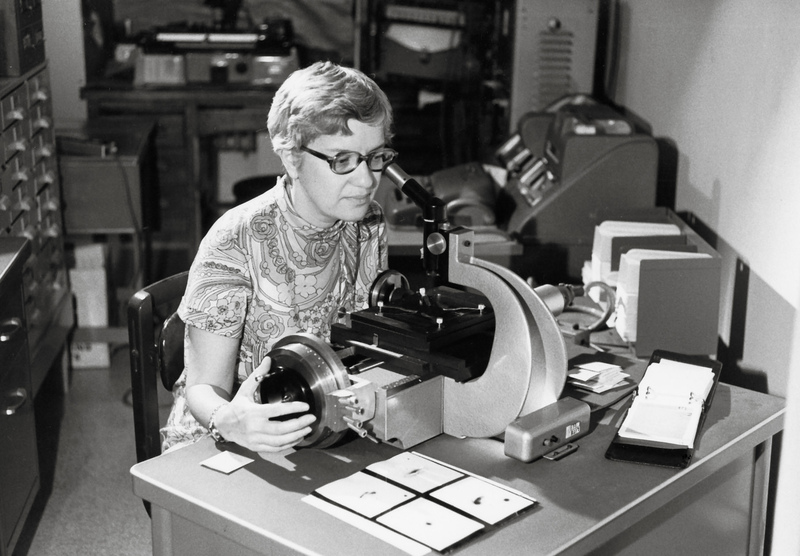 In the late 1970s, Vera Rubin and Kent Ford of the Carnegie Institution of Washington stared, confused, at the punch-card readouts from their observations of the Andromeda Galaxy. The vast spiral seemed to be rotating all wrong. The stuff at the edges was moving just as fast as the stuff near the center, apparently violating Newton’s Laws of Motion (which also govern how the planets move around our Sun). While the explanation for that strange behavior didn’t become clear to Rubin until two years later, these printouts represented the first direct evidence of dark matter. Scientists now know that dark matter comprises some 84 percent of the universe’s material. Its invisible particles swarm and stream and slam through the whole cosmos. It affects how stars move within galaxies, how galaxies tug on each other, and how all that matter clumped together in the first place. It is to the cosmos like air is to humans: ubiquitous, necessary, unseen but felt. The discovery of this strange substance deserves a Nobel Prize. But, for Rubin, none has come, although she has long been a “people’s choice” and predicted winner. In the past few years, scientists have gotten that free trip to Sweden for demonstrating that neutrinos have mass, for inventing blue LEDs, for isolating graphene’s single carbon layer, and for discovering dark energy. All of these experiments and ideas are worthy of praise, and some, like dark energy, even tilted the axis of our understanding of the universe. But the graphene work began in 2004; dark energy observations happened in the late ’90s; scientists weighed neutrinos around the same time; and blue LEDs burst onto the scene a few years before that. Rubin’s work on dark matter, on the other hand, took place in the 1970s. It’s like the committee cannot see her, although nearly all of astrophysics feels her influence. Rubin is now 87. She is too infirm for interviews. And because the Nobel can only be awarded to the living, time is running out for her. There’s no way to prove why Rubin remains prize-less. But a webpage showing images of past winners looks like a 50th-reunion publication from a boys’ prep school. No woman has received the Nobel Prize in physics since 1963, when Maria Goeppert Mayer shared it with Eugene Wigner and J. Hans Jensen for their work on atomic structure and theory. And the only woman other than Mayer ever to win was Marie Curie. With statistics like that, it’s hard to believe gender has nothing to do with the decision. Some, like Chanda Prescod-Weinstein of the Massachusetts Institute of Technology, have called for no men to accept the prize until Rubin receives it. But given the human ego and nearly million-dollar prize amount, that’s likely to remain an Internet-only call to action. Rubin isn’t unfamiliar with discrimination more outright than the Nobel committee’s. 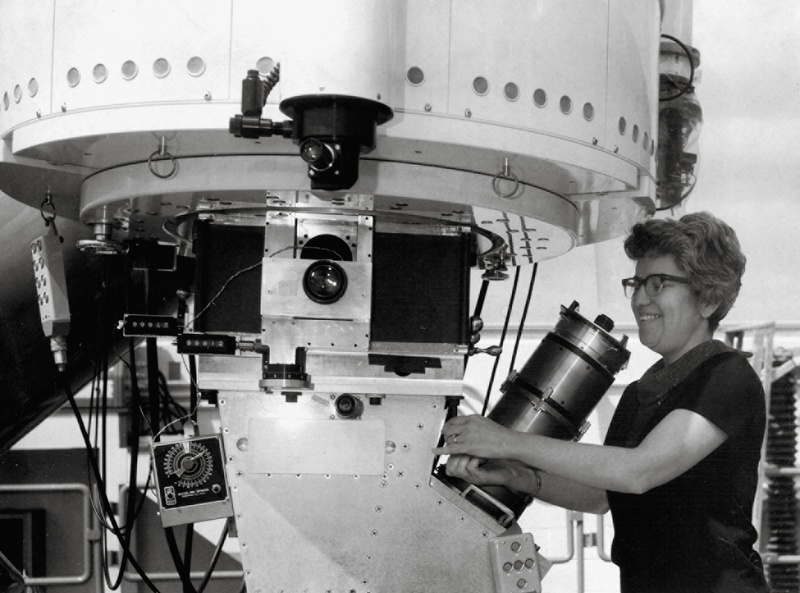 Former colleague Neta Bahcall of Princeton University tells a story about a trip Rubin took to Palomar Observatory outside of San Diego early in her career. For many years, the observatory was a researcher’s man cave. Rubin was one of the first women to gain access to its gilt-edged, carved-pillar grandeur. But while she was allowed to be present, the building had no women’s restroom, just urinal-studded water closets. She started watching meteor showers and drew maps of the streaks, which striped the sky for a second and then were gone. She built a telescope and chose astronomical topics for English papers, using every subject as an opportunity to peer deeper into the universe. “How could you possibly live on this Earth and not want to study these things?” she wondered, retelling the story to DeVorkin. After receiving her bachelor’s degree from Vassar, Rubin enrolled in graduate school in astronomy at Cornell University in Ithaca, New York. Ensconced in Ithaca’s gorges and working with astronomer Martha Stahr Carpenter, Rubin began to hunt around for a master’s thesis idea. Carpenter was obsessed with galaxies and how their innards moved. “Her course in galaxy dynamics really set me off on a direction that I followed almost my entire career,” said Rubin. Rubin wondered, “What if, indeed?” and took that wonder a step further. She began to measure how galaxies moved. Did some cluster together in their travel through space — perhaps rotating around a pole, like the planets rotate around the common Sun? Was it random? While gathering data, she found a plane that was denser with galaxies than other regions. She didn’t know it at the time, and no one else would discover it for years, but she had identified the “supergalactic plane,” the equator of our home supercluster of galaxies. Her paper was never published. 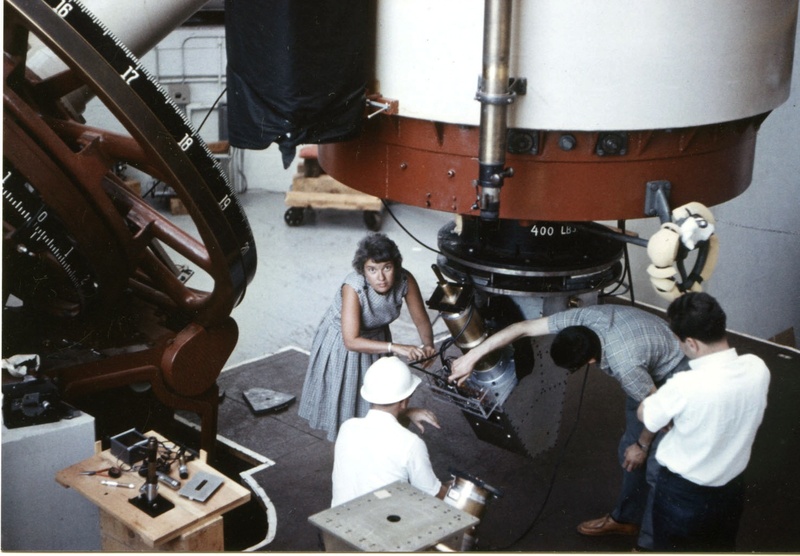 In 1965, after a stint as a professor at Georgetown, Rubin began her work at the Carnegie Institution’s Department of Terrestrial Magnetism in Washington, D.C., where she met astronomer Kent Ford and his spectacular spectrometer, which was more sensitive than any other at the time. A spectrometer takes light and splits it up into its constituent wavelengths. Instead of just showing that a fluorescent bulb glows white, for instance, it would show how much of that light is blue and how much yellow, and which specific wavelengths of blue and yellow. Ford’s spectrometer stood out from others at the time because it employed state-of-the-art photomultipliers that let researchers study small regions of galaxies, and not simply the entire objects. With this device, Ford and Rubin decided to look at quasars — distant galaxies with dynamic, supermassive black holes at their centers. But this was competitive work: Quasars had just been discovered in 1963, and their identity was in those days a mystery that everyone wanted to solve. Rubin and Ford didn’t have their own telescope and had to request time on the world-class instruments that astronomers who worked directly for the observatories could access all the time. Rubin didn’t like the competition. Rubin and Ford chose to focus on the nearby Andromeda Galaxy (M31). It represented a return to Rubin’s interest in galaxy dynamics. “People had inferred what galaxy rotations must be like,” said Rubin, “but no one had really made a detailed study to show that that was so.” Now, because of Ford’s out-of-this-world spectrograph, they could turn the inferences into observations. When they pointed the telescope at M31, they expected to see it rotate like the solar system does: Objects closer to the center move faster than ones toward the edge. Mass causes gravity, which determines the speed of rotation. Since most of the stars, dust, and gas — and therefore gravity — is clustered in the middle of galaxies, the stuff on the periphery shouldn’t feel much pull. They concentrated their observations on Hydrogen-II (HII) regions — areas of ionized hydrogen gas where stars have recently formed — at different distances from the galaxy’s center. But no matter how far out they looked, the HII regions seemed to be moving at the same speed. They weren’t slowing down. “We kept going farther and farther out and had some disappointment that we never saw anything,” says Ford. “I do remember my puzzling at the end of the first couple of nights that the spectra were all so straight,” said Rubin, referring to the unchanging speed of the various HII regions. They didn’t know what, if anything, it meant yet. The project took years and involved treks westward to telescopes. Ford recalls flying to Flagstaff, Arizona, dragging the spectrograph from the closet, working for a few nights at Lowell, and then throwing the instrument into a Suburban so they could drive it to Kitt Peak. “We both thought we were better at guiding the telescope,” he says. They raced each other to be first to the eyepiece. The data came out on punch cards, which Rubin spent hours analyzing in a cubbyhole beneath a set of stairs. They all showed the same thing. Dark matter existed as a concept, first proposed by astronomers like Jan Oort in 1932 and Fritz Zwicky in 1933, who also noticed discrepancies in how much mass astronomers could see and how much physics implied should be present. But few paid their work any attention, writing their research off as little more than cosmological oddities. And no one had bagged such solid evidence of it before. And because no one had predicted what dark matter’s existence might mean for galaxy dynamics, Rubin and Ford initially didn’t recognize the meaning of their flat rotation curves. If a halo of dark matter graced each galaxy, she realized, the mass would be spread throughout the galaxy, rather than concentrating in the center. The gravitational force — and the orbital speed — would be similar throughout. Within a few years of the M31 observations, physicists like Jeremiah Ostriker and James Peebles provided the theoretical framework to support what Rubin and Ford had already shown, and dark matter settled firmly into its celebrated place in the universe. In more recent years, the Planck satellite measured the dark matter content of the universe by looking at the cosmic microwave background, the radiation left over from the Big Bang. The clumps of matter in this baby picture of the universe evolved into the galaxy superclusters we see today, and it was dark matter that clumped first and drew the regular matter together. Data from galaxy clusters now also confirms dark matter and helps scientists measure how much of it exists within a given group — a modern echo of Zwicky’s almost forgotten work. 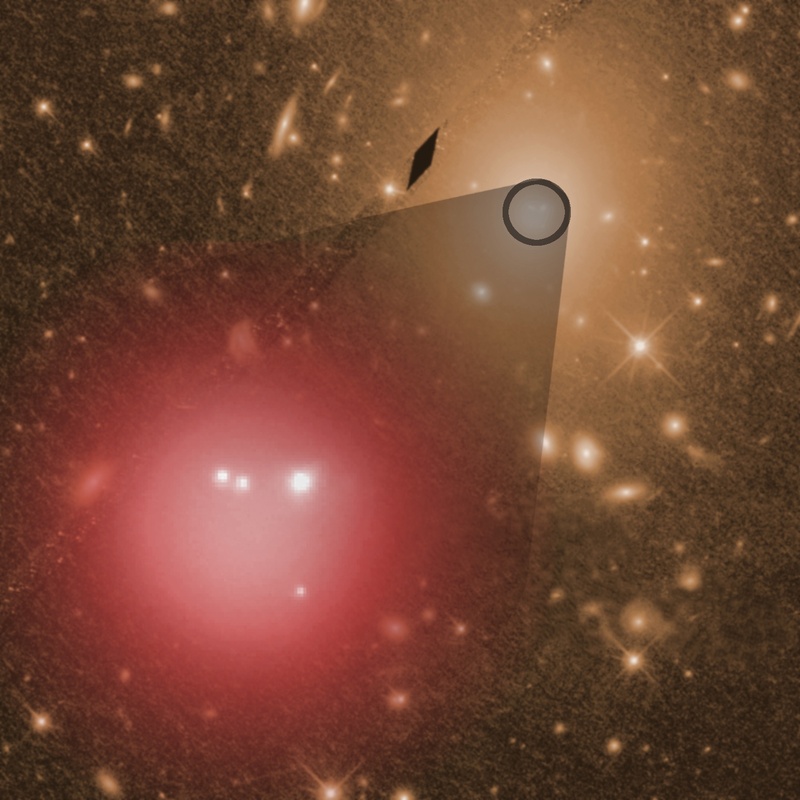 When light from more distant sources passes near a cluster, the gravity — from the cluster’s huge mass — bends the light like a lens. The amount of bending can reveal the amount of dark matter. No matter which way or where scientists measure Rubin’s discovery, it’s huge. And while no one knows what all the dark matter is, scientists have discovered that some small fraction of it is made of neutrinos — tiny, fast-moving particles that don’t really interact with normal matter. Measurements from the cosmic microwave background, like those being taken by experiments called POLARBEAR in Chile and BICEP2 and BICEP3 in Antarctica, will help pin down how many neutrinos are streaming through the universe and how much of the dark matter they make up. Some setups, like the Gran Sasso National Laboratory in Italy and the Deep Underground Science and Engineering Laboratory in South Dakota, are trying to detect dark matter particles directly, when they crash into atoms in cryogenically cooled tanks filled with liquefied noble gases. So far, they haven’t managed to capture a dark matter particle in action. But researchers are taking dark matter — whatever it is — into account when they think about how the universe evolves. The Nobel committee may overlook Rubin, passing by her as if they can’t see what all of astrophysics feels. But that won’t hurt her legacy, says Levesque: It will hurt the legacy of the Nobel itself. “It would then permanently lack any recognition of such groundbreaking work,” Levesque says. Rubin, herself, loves trying to understand the universe, and in doing so, she has changed everyone’s understanding of it. That carries more weight than some medal from Sweden. But let Sweden recognize that for what it is: worthy of a prize. The new find adds to the population of “failed stars” and makes them even weirder than we thought. 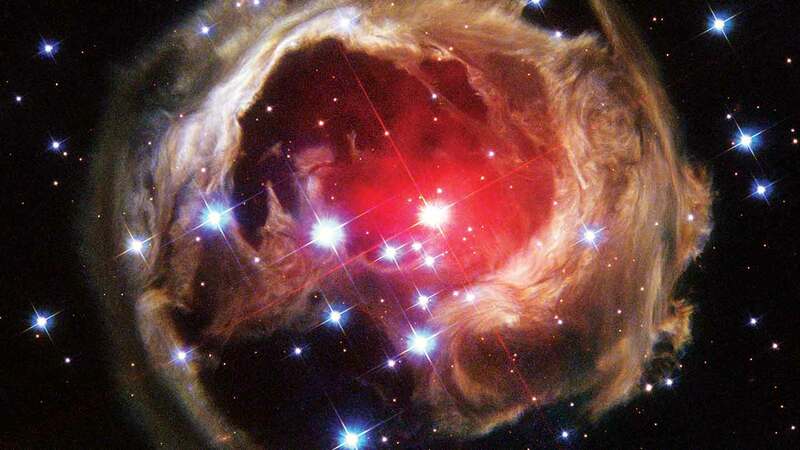 Stars that didn’t quite make it to full blazing glory are a lot more common than we thought. A new survey found not just more brown dwarfs, but an entire population of ultracool brown dwarfs that aren’t identified by standard sky surveys. Brown dwarfs are often teased as being failed stars, too big and bright to be a planet but too small to sustain hydrogen fusion. They’re doomed to stay dim until they sputter out, never achieving the bright twinkle of the stars that spot our skies. But this makes them perfect for observation: unlike other stars, brown dwarfs are dim enough to not blind instruments. They’re often in isolation, allowing for even more clear observation of this astrophysical intermediary between planets and stars. A new survey led by Jasmin Robert of Université de Montréal went hunting for even more brown dwarfs. The team surveyed 28% of the sky, and checked the properties of every star. Instead of using the standard techniques to filter out brown dwarfs strictly by set color ranges, the team pulled full spectrums of stars to find more unusual brown dwarfs. They found an additional 165 ultracool brown dwarfs not previously identified within the study region. For brown dwarfs, ultracool is below 3,500F, a sixth the temperature of our Sun and barely warm enough to melt carbon. Of the stars Robert and her team found, fully a third were unusual even in this odd population. The unusual ultracool brown dwarfs are ones that have different colors than anticipated for their age. They either appeared older than they are, tinted red through a disproportionally dusty atmosphere or inflated size, or younger than they are by being tinted blue by a scarcity of dust or contracted size. The discovery that the team identified so many unusual brown dwarfs so quickly in such a small patch of sky indicates that the population of brown dwarfs is more varied than we thought. All of this means that it’s just gotten a whole lot easier to go hunting for brown dwarfs in the neighborhood. Sometimes it takes a while for the meaning of a new scientific discovery to really sink in. In the case of the planet Proxima Centauri b, announced last week, it may take decades or even centuries to fully grasp the importance of what we have found. You see, this is not just any planet: It is similar to Earth in mass, and it orbits its star in the “habitable zone,” where temperatures could potentially allow the existence of Earthlike bodies of liquid water. 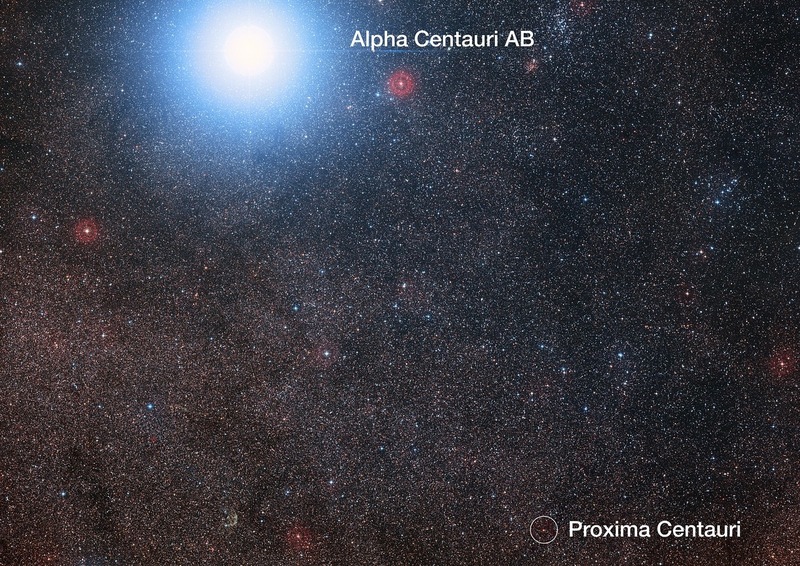 Proxima Centauri is not just any star, either: It is the very nearest one after the Sun, and it is a small red orb whose feeble light makes it relatively easy to study the planet close beside it. The science at stake here is enormous. Proxima Centauri b will surely become the archetype for understanding more distant Earth-size, and possibly Earth-like, planets all across our galaxy. The effort needed to study it will be enormous, too, however. At present the planet cannot even be glimpsed directly through the mightiest telescopes on Earth. Nevertheless, the race is on–a thrilling but maddeningly slow-motion race to bring Proxima Centauri into view, to figure out if it could (or does!) support life, even to visit it with an interstellar probe. That last goal is the most ambitious; some might call it the most absurd. But the discovery of Proxima Centauri b comes at a propitious time, just as a group of physicists and engineers have been thinking very realistically about how to send a space probe to another star, and to do it within a single human lifetime. 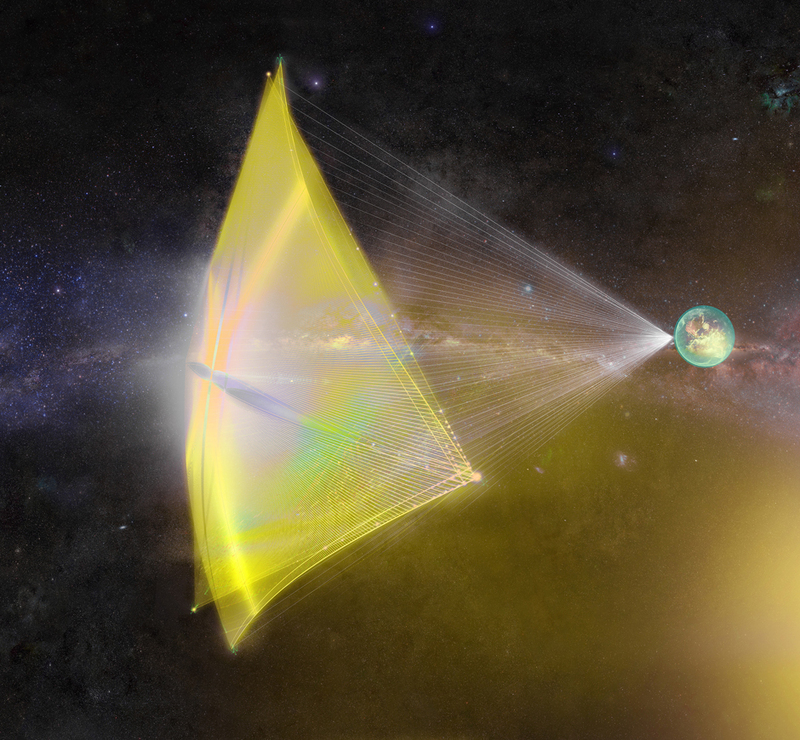 The resulting Breakthrough Starshot concept would use an array of extremely high-power lasers to shoot a beam at a huge, extremely thin reflective sail. Energy from the beam would accelerate the sail (and a miniature probe attached to it) to 1/5 the speed of light, more than 1,000 times faster than anything humans have yet achieved. I worked with Philip Lubin of the University of California at Santa Barbara to develop a popular-level summary of how the Starshot would work. You can read about it here. If you want to dig into the more technical details of the project, Lubin also has a much longer paper posted online. This proposal envisions technology beyond what is available today, but there are no science-fiction elements in it. No warp drive, no wormholes. It is a straight extrapolation from things we know and do right now, just executed on a vastly greater scale—which is broadly similar to where the idea of going to the moon was around 1950. In other words, we don’t know how to build a Starshot yet, but at least we know where to start. If we invested seriously in the project—on the order of $20 billion total, more than the Large Hadron Collider but far less than the International Space Station—and got started right away, Lubin and other researchers guesstimate that we could have the technology ready in three decades. I’ll be more conservative and add another two decades to allow for all the full suite of components: In addition to the phased laser array you need the the energy-collecting sails, the probes themselves, and a “mothership” to carry them into orbit before interstellar launch. Just this week, a group of Starshot planners met at Moffett Field in California to hash out some of the details. Lubin suggests that the a laser-accelerated lightsail could reach 0.25c (that is, 25 percent the speed of light). The Breakthrough Starshot announcementsimilarly suggests a target velocity of 0.2c. I’ll again be conservative–within this frame of crazy optimism, that is–and say that what is really possible is closer to 0.05c, or 5 percent the speed of light. That is still roughly 10,000 miles per second, a hugely ambitious goal. At that speed, sending probes to Proxima Centauri b would take approximately 85 years. Notice, by the way, that I said probes. To make the Starshot work, you want to start with very small payloads, no larger than an iPhone and possibly a good deal smaller; the lighter the payload, the easier it is to accelerate to ultra-high velocity. A low-mass payload will necessarily have limited capabilities, probably a camera, a couple types of spectrometers, particle & magnetism detectors, and a laser communication system. When that probe reaches its destination, it will still be moving at 10,000 miles per second and will have no way to slow down. Your trip through the most interesting part of the Proxima Centauri system will happen very quickly, in a matter of hours, and you will have no way to steer toward planet b or any other specific targets. But there is a huge upside to the Starshot concept. Almost all of the cost goes into the laser system that launches your probe. The probe itself would be a tiny, solid-state device attached to a thin sail. If the probes were mass produced, the cost per launch might be just a few hundred thousand dollars. The Breakthrough Starshot team therefore envisions launching not one, but a swarm of thousands. Some of those probes would fail at launch; some would fail along the way; some would miss Proxima Centauri, or not pass close enough to interesting targets to get a good look. But it doesn’t matter; a 99 percent failure rate would still be a tremendous success. If you launch 1,000 probes, you need only a dozen to survive in order to achieve one of the most amazing missions of exploration in human history. If you tally my numbers, you’ll see that I envision the first probes reaching Proxima Centauri in about 135 years (and then you have to allow another 4.3 years for their signal to get back home). Using much more aggressive assumptions, Lubin suggests that we could get start receiving our first up-close reports on Proxima Centauri b around 2070. Either way it is a very long wait time to make sense of a new discovery, and that assumes both a sustained, focused effort and the successful resolution of a vast number of technical challenges. Fortunately, this race passes a lot of milestones that are much closer and easier to reach. Even in its early stages, laser-sail technology would be useful for high-speed exploration through the solar system, or for deflecting and maneuvering asteroids. More to the point, there is a whole other race to Proxima Centauri–one that does not require high-power lasers and interstellar travel, one that is underway right now. I’ll talk more about that in my next post. A map showing the history of the universe, including the shift from neutral to ionized hydrogen resulting in the universe we see today. The early universe hides behind the cloak of its Dark Ages, a period of time light can’t seem to pierce. Even the length of those unseen years remains uncertain. As part of its efforts to probe the secrets of those hidden years, the European Space Agency’s Planck Satellite recently announced the most precise constraints on the universe’s evasive era, for the first time revealing that the first stars and their galaxies are enough to light up the darkness. Trying to pierce the veil of darkness has been a decades-long struggle to look back in time nearly 14 billion years. After the Big Bang, the hot universe quickly cooled down, and the simplest atomic particles formed. The protons and electrons of the early universe constantly collided, creating a hot soup that kept light from passing. The Dark Ages had begun. As the gas cooled down, and the expanding galaxy stretched space-time, the particles recombined to form neutral hydrogen. Like the rising dawn, the universe grew gradually more transparent, its gradual glow imprinted on the radio noise scientists recognize as the Cosmic Microwave Background (CMB). The universe remained dark, however, because nothing produced visible light. Perhaps one of the most challenging attributes of the Dark Age is the difficulty inherent in nailing down just when it ended and how long it lasted. Because light didn’t shine from the start of the Dark Age, scientists must rely on the glow from the CMB to provide them with clues to when recombination brought particles together to make the universe gradually more transparent. Observations of early galaxies and quasars, the brightest objects in the universe, help narrow down how long the lights were off. Planck’s most recent results suggest that the time of reionization, when light from the first objects began to break apart molecules once again, occurred about 55 million years later than previous studies placed it. “It is certainly clear that we are now measuring a later onset of reionization,” says Planck Project Scientist Jan Tauber said by email. Planck Scientist Graca Rocha, of the Jet Propulsion Laboratory, stresses that Planck’s measurements have become more precise over time. Rocha, who presented a portion of the research at the American Astronomical Society meeting in San Diego, California in June, pointed to the error bar in the calculations, a number that has grown smaller over time. The most recent results have an error of less than nine-thousandanths. The first early estimates suggested that reionization wrapped up extremely fast, requiring unusual astronomical bodies to clear the darkness. Tension mounted as the scientists sought to reconcile multiple forms of observation. Planck’s new numbers helped to relieve some of the pressure as the more precise calculations suggested that novel things were unnecessary after all. “Those early measurements required ‘strange objects’ to reionize the universe, but those concerns have now been dissipated by Planck,” Tauber says. Since its launch in 2009, Planck has probed the early universe, seeking to learn more about when the Dark Ages started and ended. Over three quarters of a decade, the spacecraft has helped to improve the understanding of the unseen era by penetrating the veil of darkness around it. The more sophisticated analysis reveals that the first objects didn’t begin to separate the fog of particles until “quite late,” Tauber says. Planck reveals that the universe was no more than 10 percent ionized by the time the universe was 475 million years old. It also demonstrated that the process wrapped up quickly, within about 250 million years. “This model is very consistent with observations of the earliest galaxies,” Tauber says. These galaxies allow scientists to estimate the total amount of light available to the early universe to split the particles once again.